Hello! Today I’m sharing with you a new sketch challenge for January. Some of the ladies on the Creative Team played along this month. Here are their inspiring pages to get your thinking about your layout. 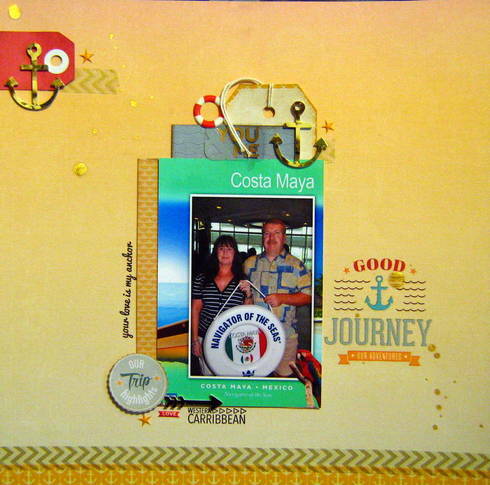 Amy Coose, our guest designer for January, joined along this month as well. I just love what she made to go with the sketch! Play along with us this month and you could be eligible to win this month’s prize: an Aurora prize pack from Basic Grey. Share your project using the sketch above before Wed, 1/28 on our Facebook page or here in the comments section of this post. One random winner will be selected and announced on 1/30. I work full-time for an education company, spend my evenings with my son, husband and craft room, and you can always find me online somewhere! This was a great sketch and I love all the inspiration. Here is my entry. Here is my layout using the sketch…thanks for the inspiration! Awesome sketch!! Love the DT’s layouts!! This is my Lo, love the schetches!